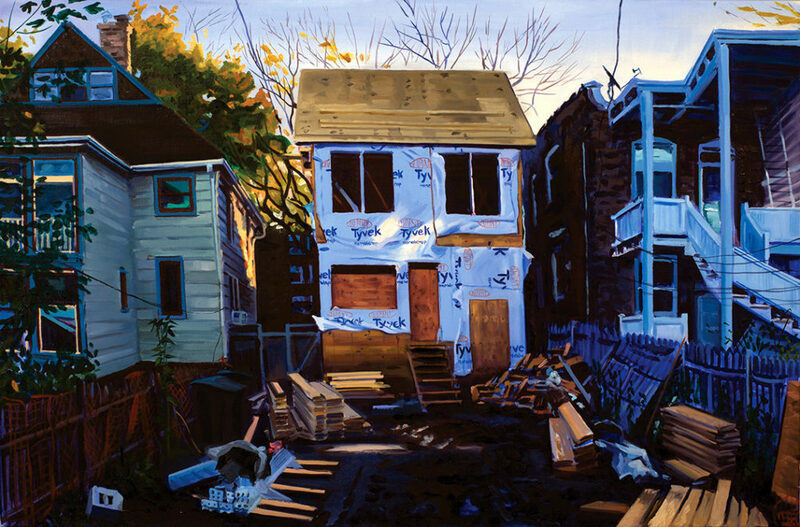 [CHICAGO, IL] On Friday, March 29, Eat Paint Studio will host a closing reception and silent auction featuring the urban landscape paintings of Emily Rapport. This event is free to enjoy. 6:00PM ………. Doors open at 6 PM so you can preview the work available. 6:30PM ………. A very short welcome introduction from Emily Rapport, Eat Paint Studio owner and artist – relax, mingle, and let the bidding begin! The silent auction will fund improvements to the space and help us to host and exhibit new artists. We accept cash, check, or credit card. Work will be wrapped for you to take home that evening or we can arrange for you to pick-up/schedule Chicago delivery the following week.